For China, Toyota will consider smaller vans more akin to the Voxy or Noah, pictured, sold in Japan. BEIJING -- Crossovers and SUVs are the hot-selling, must-haves in China’s rapidly changing, fickle auto market. But Toyota Motor Corp., on the lookout for the next big trend, thinks it may have spotted an untapped gold mine: minivans. MPVs, those family-hauling, multipurpose, multiperson vehicles, could be poised to take off after China’s Communist government scrapped a policy restricting families to one child. Hiroji Onishi, Toyota’s senior managing officer for China, said that changing needs and life-stage patterns may fuel demand for family-style minivans as Chinese families grow bigger. With China allowing citizens to have two children and some local governments even pondering families with three, Onishi said consumer vehicle preferences are bound to change. Toyota’s outlook comes as foreign and domestic automakers cash in on booming sales of crossovers and SUVs in China. Crossover launches will be a major theme at this year’s Beijing auto show, with foreign luxury brands rolling out new offerings. But automakers are also on watch for changing trends in China, where customer tastes shift rapidly as more people become car owners and vehicle ownership rates increase. Just as they flood the market with SUVs and crossovers, they could be caught flat footed by a sudden change in demand. Right now, Toyota doesn’t see big demand for MPVs in China, Onishi conceded. But Chinese are warming to the idea. 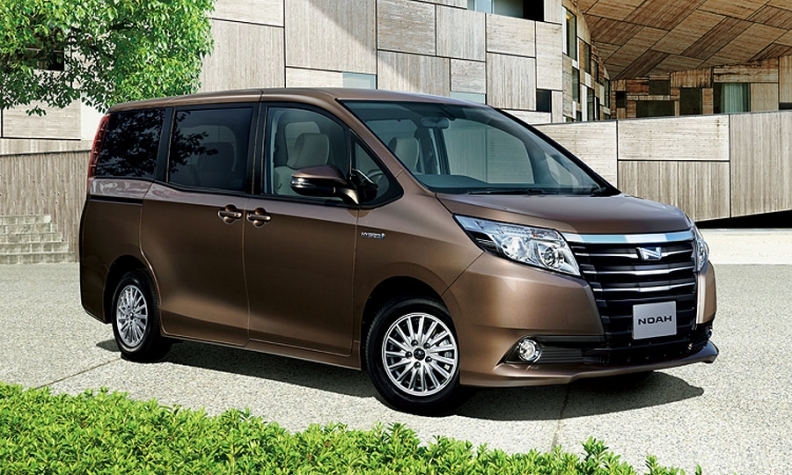 Toyota’s Alphard full-size van is, for example, already extremely popular in China. But it is expensive and appeals mostly to affluent buyers as a premium vehicle, Onishi said. Going forward, Toyota will consider smaller vans more akin to the Voxy or Noah sold in Japan, he added. Soaring demand for crossovers and SUVs in China powered a 6.8 percent increase in the country’s passenger vehicle sales in the January-March quarter, pushing volume to 5.67 million cars and light trucks. In an age of one-child families, a roomy five- or seven-seat SUV makes good sense. It can pack in mom, dad, four grandparents and one child. But add one more little one and that equation might change, with families valuing a bit more space. China announced in October that it was ending the remnants of its one-child policy, meaning the impact has yet to be felt. MPV sales in China are already growing rapidly, according to automotive market research company JATO Dynamics Ltd. Traditionally, that has meant mini MPVs sold in rural areas outside of China’s more economically developed megacities. Under the gradual loosening of the one-child policy that began in 2012, 29 of China’s 31 provinces that each have about 11 million couples will now allow families to have a second baby.